The phone is amazing!I bught a new one for only 120 euros and i am so glad i did.Compared it with my s2 and the only thing where s2 beats grand x is the camera.The rest is better on the grand x or the same like s2.No lag at all,animations smooth,GPS working excellent,internet browsin is just amazing on this phone.Games run silky smooth no lag in gta3. Very pleased with my new android device. This phone is just down right awesome! The only thing I think it is missing is an HDMI output slot... but really, how often do you use that?I see all these commercials that make it seem like their phone is the only one that has certain features... like the iPhone 5 with Panoramic picture taking, this phone has it.All in all this is a great phone with good features and able to run all the Android applications. I love the WiFi because it saves on my data plan. The only thing I think it is missing is an HDMI output slot... but really, how often do you use that?I see all these commercials that make it seem like their phone is the only one that has certain features... like the iPhone 5 with Panoramic picture taking, this phone has it. 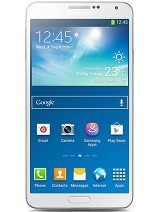 The NFC (Near Field Communications) touch phones to share info deal, like the Samsung Galaxy III, this phone has it. AnonD-67216, 23 Dec 2012Where is that indonesian Jelly Bean Update for this phone? May put some download link? Sorry f... moreAs of now, there is no update for rooting the Android version to Jelly Bean. 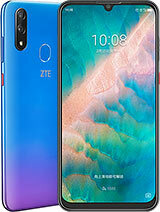 However, if there is any such updates in the future, then it would be posted on ZTE official website, so that you can have a look at it. Its so annoying after buying a phone handset and you don’t just enjoy it. This is one of the best phone what I have ever seen in my life time................this phone has got everyting what I need....the phone looks like a computer....the sound effects are superb with beautiful ear phones...the main thing what I liked in this phone is it can be upgraded to the next version of Android version which is Jelly Bean!!!!!!!!!!!!! 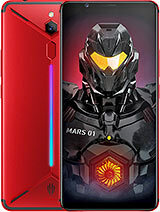 I have been using this phone for more than 4 months and i have not faced any battery issues till now.My phone is working fine and has not given any problems till now.I am happy with my phone. For Android nerds, like me, the inclusion of a vanilla build of Android 4.0 on the Grand X is a huge point in its favor. It's unusual, but should hopefully bode well for future updates too. Performance over all is decent without being outstanding, with the Tegra 2 processor propelling things along nicely. Sadly though, marketing this as a gaming device is a little ambitious. 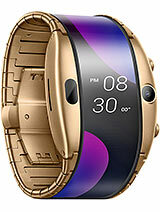 But, while software and performance are positive, the build quality of the device lets it down. It's horribly plasticky, and the rear in particular feels very cheap. Then again, at £190 the Grand X is a cheap phone. If you can live with some nasty plastics -- or invest in a case -- the Grand X becomes a pretty solid mid-range offering. Great phone! Everything works great. This phone used MTK 6577 not tegra 2 atleast here in indonesia . so, based on the chipset, i guess it's safe to assume that this phone support native video call, or is it not? 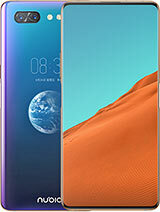 btw, this phone is already available here in my country for less than US$250 (unlocked/SIM free version). 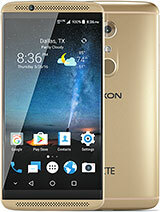 The main attraction of this phone is handy look,While the cost, terms, and quality of the phone is so good Very sharp looking phone, its extremely fast navigating from page to page The 3G service very good Good:-Big screen Easy to figure out-Has everything the expensive smart phones have but for a cheaper price.-You can plug regular headphones into it.-Has a great camera. 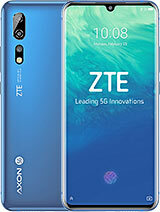 Total of 168 user reviews and opinions for ZTE Grand X V970.